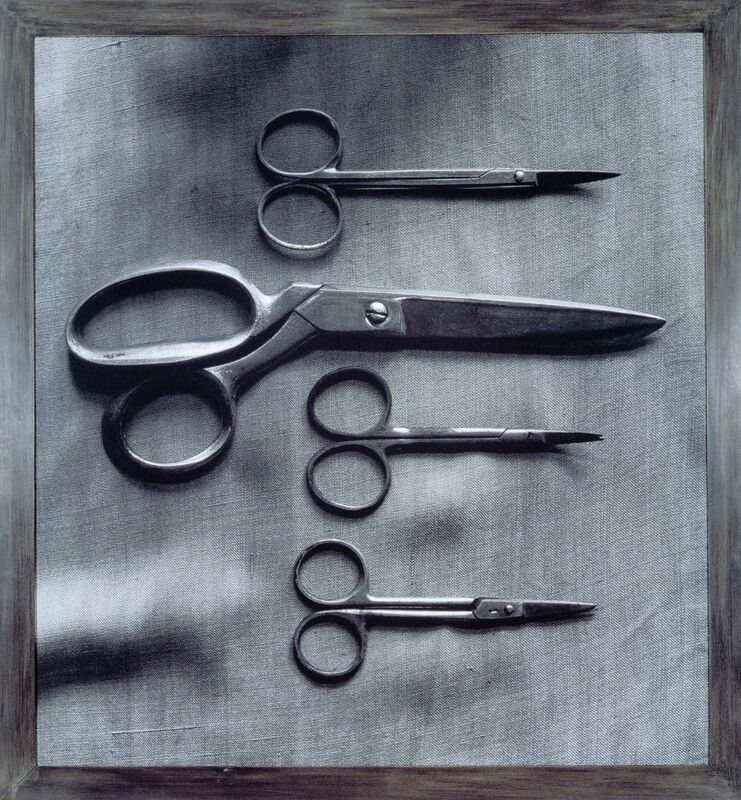 The title of this work refers to the street in Krakow where the artist lived for seven years, and where the scissors were photographed. The work is given two dates, the date on which the photograph was taken and the date on which it was printed, some twenty years later, drawing attention to the passage of time but also the passage of understanding. Once printed, the negative was then destroyed, turning the endlessly reproducible photograph into a unique artwork. Craigie Horsfield’s work is informed by a debate about the individual and the community and art’s relationship to the physical world in which we live. His non-narrative photographs of individual people and objects in space continue the tradition of medieval artists in northern Europe such as Van Eyck, which respects and explores the uniqueness and independence of the subject. The artist states that “…my writing and my photography share one thing and that is the language of the commonplace… (the) intention is historical – the relation of the present to the past”*. *Craigie Horsfield ‘A dicussion with Jean-François Chevrier and James Lingwood’, ICA, London, 1991.